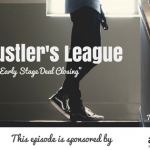 Today’s episode, we’ll give you a sweet taste of the first session of the TSE Hustler’s League this semester. If you still want to join, go ahead and apply. This is a group coaching experience where we also bring on some expert guests and members share insights and bounce ideas off each other. 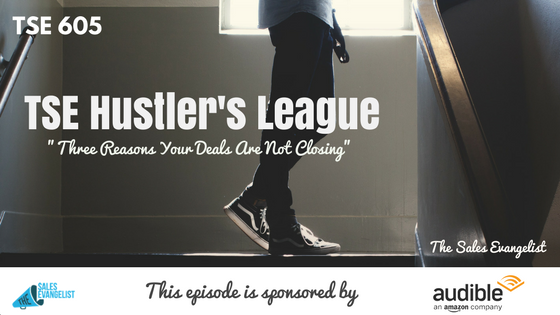 Have a checklist of your criteria when qualifying your prospects. Make sure it’s easily visible while you’re making calls while prospecting. Having a visual representation whether on your screen or in your office prevents you from deviating from your criteria. A common tendency is that once you know the prospect is interested just because they asked for the price, you get so excited that you deviate from the process and just jump right in. Then you don’t hear back from them. Well, you didn’t qualify them in the first place. Make sure they have money. Make sure they have a challenge or issue they have that you can solve. Make sure they have a meaningful time frame. Make sure they have the ability to say yes. According to a study, 57% of the weight towards a buying decision is when they first make contact with a salesperson. This is when you’re able to teach something to a prospect they didn’t know they need. Regardless of what you’re saying, figure out something your buyers don’t know that you can educate them on in the decision-making process, in the discovery process, in the qualification process.This will separate you from other sellers.